Get that charcoal grill hot and ready to go!.Peel the corn, being very cautious to keep the husks intact. Set these aside. Remove ALL silk from the corn.Shuck the corn by standing the cob vertically and running a sharp knife down the length of the cob. The corn kernels will come off easily. Throw out the cobs. Count out three husks per smallmouth filet, and flatten. On the husk, drizzle a light layer of the shucked corn. 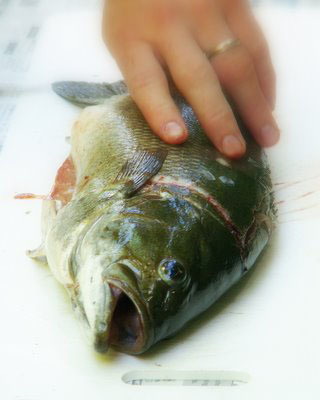 Place a smallmouth filet at right angles to the husks (opposite direction the husk is running), atop each one. Divide the rest of the corn among the filets. Punctuate the corn with pats of butter. Drizzle lemon juice on the smallmouth filets; season to taste with table salt and ground black peppercorns. You can find peppermills at the grocery store. Carefully fold the cornhusks around the fish, forming an "envelope". Secure with wooden tooth picks, like you would a tamale.Place on the hot grill for 5 to 7 minutes. Flip it over, being careful NOT to break it or spill the contents. Cook for an additional 5 to 7 minutes. The husks will be kind of burnt looking now. Serve as soon as they come off the grill, and garnish with lemon wedges. 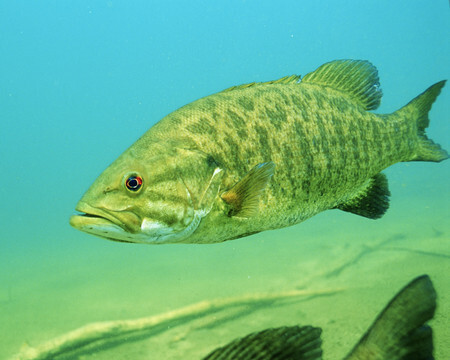 2 smallmouth bass filets, large ones! Lay out the fish and dust with Cajun spice. Take two slices off of the orange. Juice the rest of the orange onto the smallmouth filets evenly. On top of each filet, drop three (3) small dollops of the Tiger hot sauce. Put the fish on the hot grill. Baste the filets with melted butter while they cook. The filets should NOT be turned during cooking. After about 18 minutes (maybe 20), you will have some of the hottest, spiciest, tastiest Smallmouth you have EVER had! Fish will be flaky and moist. Be careful! It has teeth! Add the two orange slices as garnish.Serving suggestion:Cajun wild rice, fresh okra, and a fine, cold can of beer to top it off with. Enjoy! 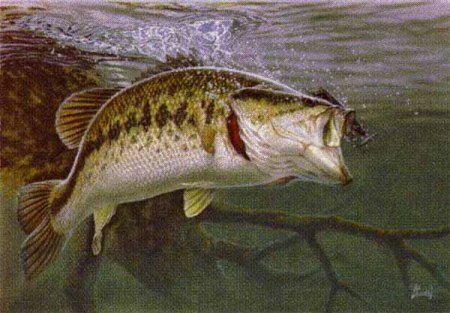 We hope you have tried and enjoyed our Smallmouth Bass Recipes. If you'd like to share your favorite Smallmouth recipe with the world, please let us know and we may just publish it.